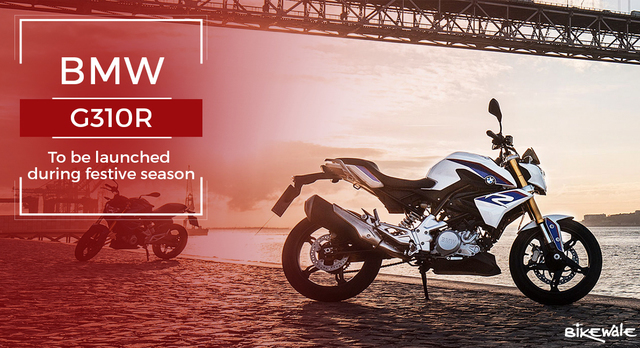 The most anticipated motorcycle from BMW – the G310R is set to launch in India this year. The German manufacturer recently incorporated its India unit and brought Shivapada Ray on board to head the business. Shiva is known for setting up the dealership and supply chain for Hyosung and the most recent Benelli range of motorcycles. The company is currently in the process of appointing exclusive Motorrad dealerships across the country. However, metros like Mumbai, Delhi and Bangalore will be the first ones to get the showrooms. Currently, BMW Group sells some of its bikes through only a couple of dealerships, however, when it comes to the pricing BMW has given a free hand to them. Due to this, the BMWs are the most expensive bikes one can buy in India. The German manufacturer will launch the G310R during the festive season, followed by the launch of its entire line-up by the end of this calendar year. The BMW G310R is the first motorcycle that has come out from the BMW-TVS alliance. To be manufactured at TVS’ Hosur facility, the G310R is the first BMW motorcycle to be ever manufactured outside Germany. Powering this bike is a new 313cc single-cylinder liquid-cooled engine with double overhead camshafts and fuel injection. This engine churns out 34bhp at 9500rpm and has a peak torque of 28Nm at 7500rpm. It is mated to a six-speed gearbox. The German manufacturer has equipped the G310R with two-channel ABS as standard and upside-down forks at the front. The braking power on the bike is taken care by a 300mm single-disc with radially bolted four-piston caliper in the front and a 240mm two-piston caliper at the rear. Once launched in India, the BMW G310R will compete with the KTM Duke 390 and the Benelli TNT 300. In terms of pricing, we’re expecting the G310R to be the most expensive in the segment.